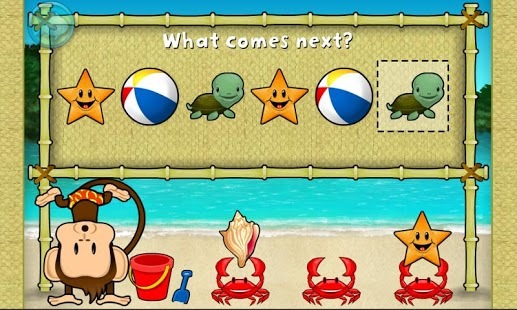 Monkey Math School Sunshine is a collection of fun mini games, where children can practise and develop basic maths skills. There are 9 interactive games that support children with adding, subtracting, patterns, shape recognition, sequences, concepts of more/less and bigger/smaller, counting, number recognition and formation. 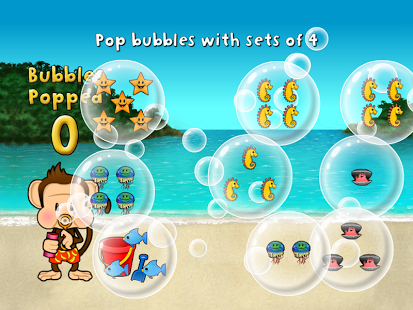 Join your child's favourite monkey in maths games and activities in a playfully designed beach-themed world. 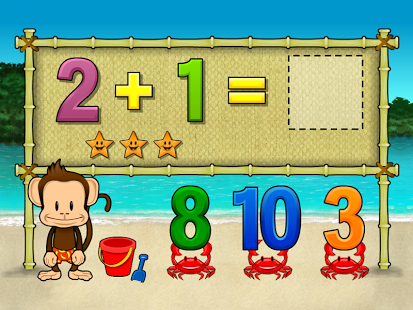 Monkey Math School Sunshine allows your child to build fundamental math skills while they are endlessly entertained. Your child will learn to count, add and sort their way through engaging games with uninterrupted play. 9 interactive games that teaches children about sequencing, patterning, counting, adding and subtracting. 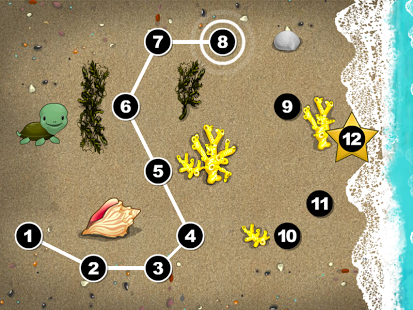 Children collect rewards in their ANIMATED AQUARIUM. Use your addition and subtraction skills to solve maths problems. Trusty animated crab assistants supply multiple-choice options. Monkey has a problem: Objects keep popping out of his bucket, creating a pattern - but one piece is missing! 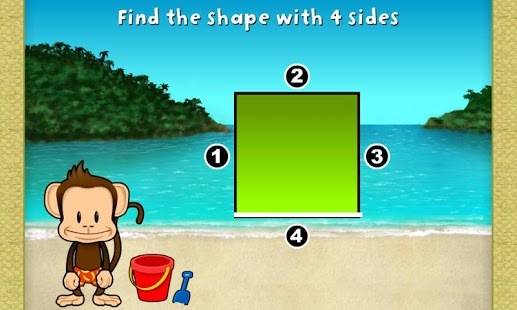 Help the monkey by completing the pattern with the choices provided. Is it an octagon? Or maybe a hexagon? Count each side of these shapes to help Monkey figure it out. 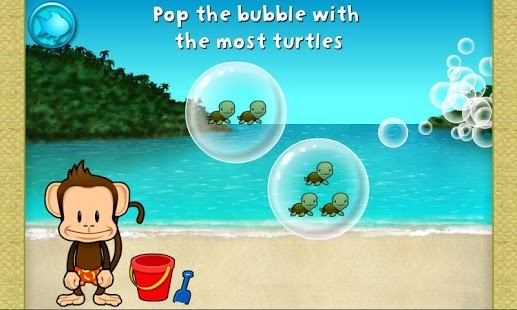 Monkey loves to blow bubbles, but when he does, groups of shells, fish or turtles are inside each bubble! Use your expertise to figure out which bubble has either the most or least objects inside. Baby Turtle is stuck on the beach and she needs your help to get to the sea! Connect the dots to show her which way to go. 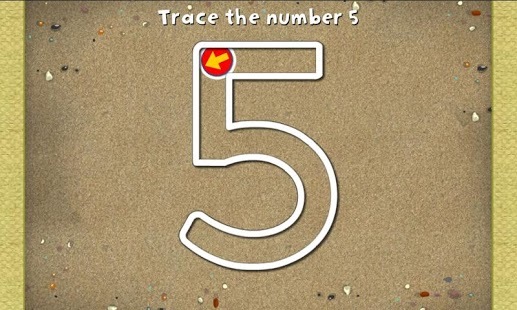 Help Monkey identify numbers by tracing them in the sand.